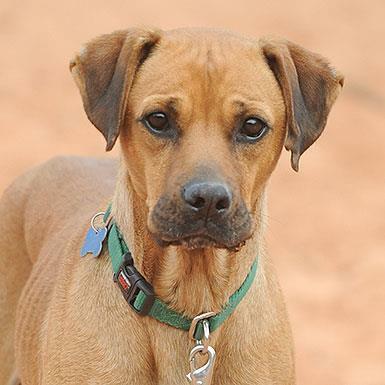 Cleveland is a gentle, sensitive dog who is working on coming out of his shell with people. He is very shy with almost everyone he meets, and he will try to run away when he is afraid. Born in 2012, he eats a prescription diet to aid in his digestion. It takes Cleveland a while to adjust to changes in his routine, but he is ready to start experiencing more of the world. He already loves going for walks, enjoys treats and toys and rides well in the car. Cleveland loves other dogs and feels braver around them. Routine also helps him gain trust and confidence. When he's feeling secure, he gets silly and wiggly and shows his sweet smile. 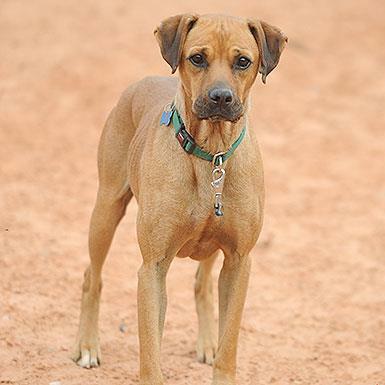 Cleveland will need a home with a gentle, patient person and would do best with a friendly role model dog.